Market Day on Sherrard Street, looking away from the town centre. 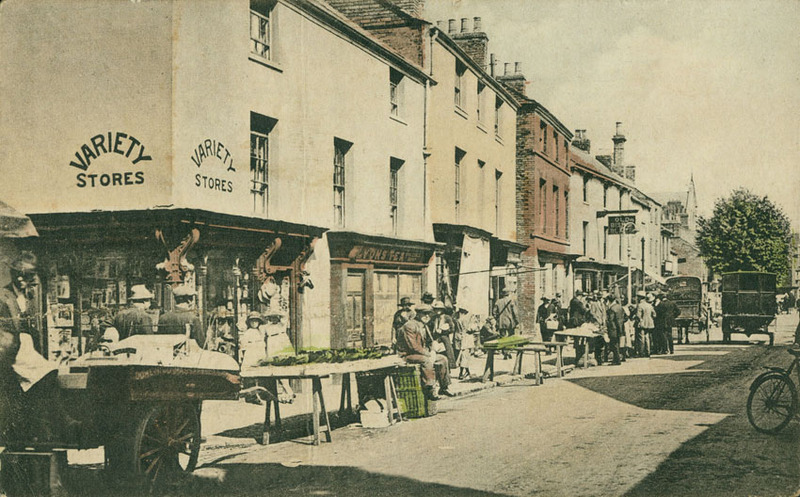 The building on the left was demolished in the 1930s, when Windsor Street was created. The red-brick building in the centre of the photograph was the offices of Barkers; Solicitors and Clerks to the Urban District Council from its inception in 1894 to its demise in 1974. Approx date: 1925. Image ref: MM0204.